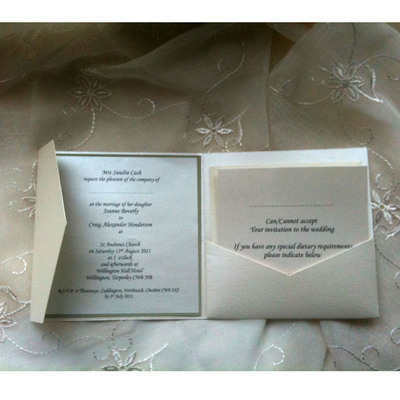 Square pocket invitation Opal , (cream, ivory) quartz, (bridal white,) crystal (white) envelope. This invitation is ready to put togerther and embellish, Print your wedding invite in matching opal paper. You can then choose a small opal card for rsvp with an envelope and extra cards if desired for gift list accomadation etc.